The 2017/18 Ashes is underway and we were greeted not with the tumultuous and shambolic affair that was forecasted for England beforehand. The pitch, rather unusually for Brisbane, had some moisture on the surface which ensured it would not be spitting fire – unlike the majority of the Australian side leading up to the series. In fact any chin music that reverberated around the Gabba came not from the supposedly venomous trio of Australian fast bowlers but perhaps from Joe Root’s tiny violin as he sat ponderously, and crucially, in the dressing room. Alastair Cook f ell early to a good delivery from Mitchell Starc who got the ball to move away ever so slightly. If Cook is at fault for this dismissal it would be down to a lack of foot movement and a propensity to reach for the ball, pushing away from his body. Although as we know Cook has never been one to make a huge stride to the ball and as this score of 2 takes him to 11629 career test runs. It would be premature to call into question his form and inane to question his class. However, At 2/1 it was fair to say alarm bells were ringing. Enter James Vince and Mark Stoneman. Despite the pair’s lack of experience at this level they steadied the ship admirably: Vince played classily, caressing a couple of silky cover drives to the boundary, allowing Warner to give chase like a terrier to a tennis ball; whilst Stoneman looked compact and organised, aware of his off stump and not phased by the potential pressure to score quicker than he was. Nathan Lyon’s introduction, aided by the moisture on the pitch, saw some promising turn and bounce for the Australians which looked threatening at points. Stoneman’s first delivery from the opinionated offspinner saw a leading edge drop in front of short leg whilst Vince had to fend off a deafening bat-pad appeal by concentrating extremely hard on his boots. All in all a promising morning for England, heading into the dressing room at 59/1 but of course there’s a lot of cricket ahead and this Gabba wicket won’t stay tame forever. After lunch Vince and Stoneman pressed on. Vince played Lyon particularly well: looking to attack by coming down the wicket and knocking him off his length, then rocking backing back to cut the inevitable shorter deliveries. Despite this positivity, Australian wicketkeeper Tim Paine had the chance to dismiss Vince off the bowling of Lyon but put down the edge, after many grumblings over his selection I doubt the Australian fanbase will be brimming with confidence in regards to their kepper. At 127/1 Cummins steamed in around the wicket and darted a ball successfully at Stoneman’s middle stump, a dogged innings had come to an end on 53. Not long after, on 145/2, Vince dropped the ball into the offside and set off for a single, Nathan Lyon at cover was on it in a flash and a rattling direct hit saw the Hampshire man a metre short. Not long after Cummins angled a ball into the pads of Joe Root who fell lbw to a good review for 15, leaving England 163/4. Moeen Ali and Dawid Malan counterattacked well in the evening, the former looking characteristically louche as he swept Lyon for six and played the quicks well off the back foot. The players left the field for bad light at 196/4. All in all a good day for England who recovered well frrm the early loss of Cook. However the cheap dismissal of Joe Root could prove vital later in the game. Malan and Ali strolled to the crease for the morning of day two buoyed by some assured batting towards the end of day one’s evening session. Malan quickly picked up where he left off swiftly clipping a Starc delivery on middle stump through midwicket for three followed a few balls later by a sumptuous cover drive for four. Ali too looked characteristically fluent lifting a well timed drive over mid-off to the boundary off the bowling of Josh Hazlewood. Steve Smith chose to persist with seam, trying to capitalise on any early morning nerves by enticing the drive. The plan didn’t quite materialise as the pitch was still offering the quicks little help which allowed Malan and Ali to settle quickly, the former reaching his fifty within the first half hour. As a result Nathan Lyon – Australia’s pick of the bowlers so far – entered the fray to be greeted by a powerful sweep from Ali that sped behind square for four. Although Lyon appeared to be bowling well, getting the ball to turn and bounce, his line was off leaving the stumps largely untargeted. This resulted in a spell which seemed crafty but in reality was largely unthreatening. In the end Smith’s return to his fast bowlers – who had up to this point been stubbornly bowling lackluster attempts at bodyline – was vindicated, a delivery from Starc leapt a bit higher and caught the top edge of a poorly timed pull from Malan who was caught at square leg by Shaun Marsh for 56. So signs of life in the pitch brought with it life in the crowd as Australia looked to press on and exploit the opening they had created. Lyon, back into the attack, had corrected his line and begun to look dangerous. Coming around the wicket to Ali the ball turned slightly less than it had been and thudded into the lefthanders front pad, after an unsuccessful review Ali was on his way. With his new attacking line Lyon pushed on and soon after had the scalp of Chris Woakes who attempted a loose cover drive, a shot soaked in nerves, which was nowhere near the ball as it shot through an open gate to bowl him. At 250 for 7 it was down to Bairstow and the tail to drag England over the psychological milestone of 300. Stuart Broad, far from a fan favourite in Australia after his refusal to walk at trent bridge in 2013, was met with a barrage of increasingly more effective short bowling from Cummins and Starc. Squatting and crab-like Broad gallantly swatted away ball after ball while Bairstow attempted to build the total quickly at the other end. However it was not long before the perpetually terrified looking redhead fell to the bowling of Pat Cummins for 9, a poorly selected pull shot which didn’t have to be played: perhaps indicating a lack of trust Bairstow has in the abilities of Broad. A spirited cameo from Jake Ball followed, after hacking his way to 14 Warner, springing away to his right, took a smart catch at leg slip off the bowling of Starc. So Broad and Anderson, England’s veteran seam duo, found themselves in the middle together a 286 for 9. The Australians, now confident they had the innings wrapped up, began to heckle the pair which prompted a wonderfully British ‘oh shut up!’ from Anderson that was picked up by the stump-mike. The pair’s partnership was predictably short lived as Broad heaved a short ball from Josh Hazlewood to backward square leg to give the ‘new Glenn Mcgrath’ his first wicket of the series. However this was not before England had limped over the line to 302, a thoroughly respectable total in the first innings of an ashes test on a pitch which looks like it may be low scoring. England came out in the afternoon looking to push home the advantage they had given themselves with the bat. Broad struck first with a good length delivery outside the off stump which proved to enticing for Cameron Bancroft, the debutant pushed at it to give Bairstow his first chance of the game which he took beautifully. Australia were now 7/1 and England had the early breakthrough they would have wanted. Usman Khawaja came to the crease and never looked settled, his woeful test record to spin continued to haunt him as Ali caught him leg before with a fairly regulation delivery. Australia were now 30/2 with their two star batsmen at the crease. England didn’t bowl particularly well to David Warner, bowling too straight and allowing him to reach 26 by working the ball into the leg side and scampering through for numerous signals which allowed him to generate the momentum he thrives on. However it was a straight delivery that eventually undid him as Jake Ball saw his delivery short arm pulled off the thigh pad goes straight to midwicket, a loose shot from Warner and a let-off for England (59/3). In the evening session it looked crucial for England to get Smith out early, he’s the kind of batsman that can grind down a bowling attack and subsequently win test matches, if he were to depart early England would look favourites to win the match. In the first over after tea Hanscombe received a skilfull inswinger from James Anderson which was given not out on-field but a review showed it to be hitting in line and going on to hit leg stump (84/4). Smith batted imperiously: he was disciplined outside the off stump, leaving anything he didn’t have to play safe in the knowledge that when the new ball perishes England’s bowling attack look fairly ordinary. When the bowling drifted straight, usually out of frustration, he has the class to pick up length quickly and take his chance to score. He ended the day on 64 well accompanied by Shaun Marsh on 44. Australia were 165/5 in a beautifully poised test match. Smith and Marsh started well on day 3 until the latter chipped a mistimed drive to mid-off on 51, not the man England would have prioritised dismissing but Broad wheeled away in celebration nonetheless (175/5). Tim Paine then came to the crease with a lot to prove, unluckily for him the second new ball was taken shortly after and he was no match for an Anderson outswinger, taken one-handed by Bairstow for 13. Anderson, fully pumped up, raised his arms to the Gabba crowd as if to say “I’ve been doing this with the newball my whole career, why would you all write me off now?” (202/6). Shortly after Starc chipped one straight back to Broad for 6, who took a good catch low to his right, leaving Australia on 209/7. Smith, who looked as solid as he had on day 2, desperately needed someone to bat with him and Pat Cummins duly responded. Yet again with the new ball finished England looked pedestrian, Ali was brought into the attack only to be hit back out of it by Cummins, and Smith celebrated a magnificent century on the biggest stage in test cricket. Cummins fell after a very useful 42 by nicking off to a delivery from Woakes, taken by Cook at first slip (275/8). Early in the evening session Ali bowled Josh Hazlewood and England could sense they were nearly through this batting lineup and still with a slim lead still intact. After Smith and Lyon negotiated a 26 run lead for Australia the latter was caught at leg slip off the bowling of Joe Root. Smith ran off eager to get into the English openers before the end of the day, although a horrible batsman aesthetically hats off to an industrious, disciplined and potentially match winning 141 from an undoubtedly brilliant player. England will have come to the crease in the evening looking to get to the end of the day without losing a wicket. 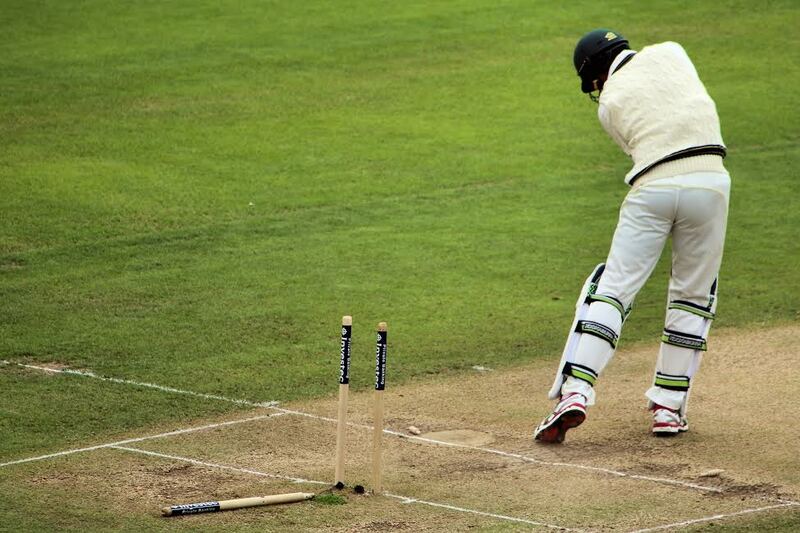 However Cook, playing his favoured pull shot, was caught at wide fine leg off the bowling of Josh Hazlewood (11/1). Heartbreaking? Yes. Irresponsible? Yes. But still not time to sound the alarm over his batting (I write more out of hope than knowledge). James Vince needed to bat the rest of the day with Stoneman to give England a solid foundation for what was shaping up to be a pivotal morning session of day 4, however asking him to stabilise the innings twice in a game proved a step too far and he was soon caught in the slips off the bowling of Hazlewood. Root was next in and caught a fiery bouncer directly on the grill of his helmet – rather spookily it was nearly three years to the day that Phil Hughes died from a short delivery – Starc was quick to check Root was okay showing good, necessary sportsmanship. Not long after this Root and Stoneman left the field with England effectively 7/2, the hope of the team and nation resting pretty firmly on the captain’s shoulders. Joe root has just one second innings century in his career and there arguably hasn’t been a more important time for him to get a second. He started the day well, looking proactive at the crease, putting the ball to the boundary with the care-free timing that is emblematic of his talent. Stoneman was the first to fall, pressing forward and edging one to first slip off a gorgeous delivery from Lyon which turned and bounced (lead of 36). Malan followed suite in a very similar dismissal, good bowling from Lyon but you would have to say test batsman should be dealing with these deliveries better (lead of 48). England counterattacked well with Root leading the charge alongside Ali. However with the lead at 87 – in arguably the most crucial dismissal of the match – Josh Hazlewood caught Root leg before with an inswinger the Yorkshireman had tried to on drive. He would have to go for 51, worryingly having been dismissed the same way in both innings. If England are to win or even draw this series their talisman will have to convert a second innings fifty to big runs somewhere along the way. So in the afternoon all the pressure that had previously been on Root was transferred to Jonny Bairstow, a thoroughly talented player who has been in form for nigh on two years now (since a great hundred in Cape Town). Batting at 7 he should complete the strongest middle order in the world, however of course Stokes is yet to make an appearance in this series (if you don’t count guilty video messages wishing everyone luck). This means any hope England had of posting a truly competitive second inning score was with Bairstow and Ali. Naturally aggressive batsman the two looked to be proactive and boosted the lead to 129 in what seemed like no time. Then Lyon struck again, after beating Ali’s bat Tim Paine did some sharp work behind the stumps (perhaps why he’s in the side as his batting record is modest to say the least) which led to a stumping referral. Ali’s foot was on the line but no part was over it which deemed him out. This sparked a few questions over the width of the line which admittedly looked a lot thicker over the wicket than to either side of it. Woakes came to the fray amid a growing atmosphere at the Gabba, the Australians had smelt blood and began a barrage of short pitched bowling. Bairstow and Woakes batted well, propelling the lead to 159 before a short delivery from Starc leapt up on Woakes who wasn’t able to keep it down, it was taken off the splice of the bat by Smith lurching in from second slip. If Root’s second innings dismissal was the most crucial in the game, then Jonny Bairstow’s was the most infuriating: with the lead at 168 his job was clearly to marshall the tail and bat for as long as possible with Broad, and when needed Ball and Anderson in a bid to reach a lead of 200. However he then lapsed into what can only be described as one day mode, looking to guide a short ball over the slips to the third-man boundary, a nice shot if there is no third man! The catch was taken easily and you have to ask what Bairstow thought he was doing in playing the shot. A huge blow to England’s chances. Australia then proceeded to wipe up the tail with a fantastic exhibition of fierce fast bowling. England were all out for a lead of 170. In the evening session Warner and Bancroft had the unenviable task of beginning to chase a supposedly routine total, however in fairness to them they navigated the first few overs from Broad and Anderson remarkably well. It would have been easy to lose a few wickets early to the new ball and bring England back into the game, however they batted sensibly and in an accomplished manner ending the day on 144/0 with just 56 runs needed to claim the first game. There’s not much to say about day 5 as it was essentially a foregone conclusion that Australia would win, the only question being in what manner would they do so? The answer is very assuredly: we know when Warner gets going he is a truly destructive player who can score all round the wicket, alongside him Bancroft redeemed himself after a loose first innings shot by batting solidly. Both players looked extremely comfortable as they knocked a physically and emotionally depleted England bowling attack around. Both finished the game not out: Warner on 87 and Bancroft on 82, and Australia lead the series 1-0, the Gabba tends to define how a series plays out and Joe Root will be wondering how he is going to take twenty wickets a game. However I think the ten wicket defeat does not do justice to England who played some good cricket and were arguably right in the game until Joe Root’s second dismissal on day 4. Although that is all academic now, a loss it is and if you only watched the last day and a half or glanced at the scorecard it looks a very convincing one. Is ‘sequelitis’ consuming Western cinema?